This column aims to look at the possibility of a year without a desktop processor launch for AMD. Recent announcements haven’t given enthusiasts much hope for the AM3+ socket and there have been more improvements on the mobile and APU business than in any other year in the company’s history. Recent roadmaps from AMD paint a bleak picture for the future of their desktop processors. The latest update to their FX lineup, Vishera, won’t see any successors for the remainder of the year. 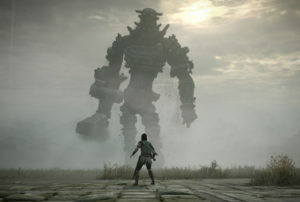 In fact, there’s even a possibility that AMD may not bring the Steamroller architecture to socket AM3+ at all. 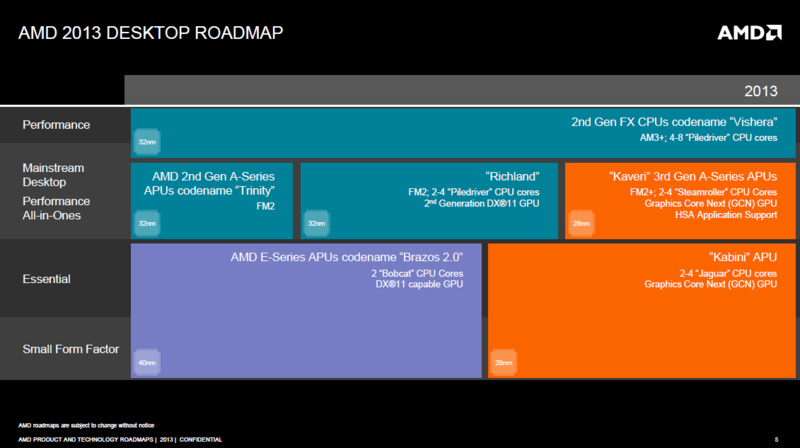 Let’s assume that the new roadmaps being released by AMD at their 25 September conference confirm that Steamroller will not appear on the AM3+ socket. Rory Read announces the death of the CPU and collective breaths are held all around the internet as to what will happen next. Its not that big of a deal for AMD. You see, AMD has seemingly been paying little attention to the technology they’re using with the AM3+ socket. In 2007, the Phenom series debuted on the AM2+ socket, supporting DDR3 memory for the first time. The motherboards from that era used the 700-series chipset, topping out with the 790FX chipset. AMD revised their chipset in 2009 with the introduction of the Phenom and Athlon II family, rebranding the 700-series chipsets as the 800-series and adding in a few updates. 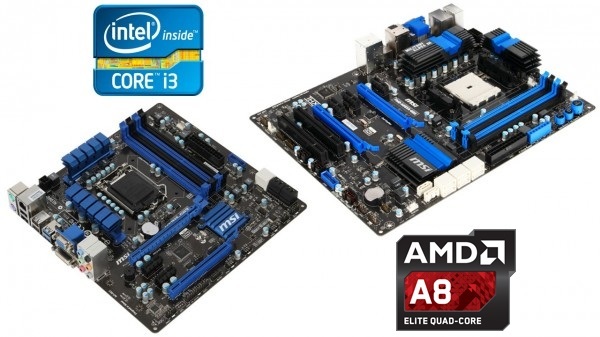 Some motherboards received USB 3.0 ports using third-party chips and extra functionality had to be added in through separate hardware. Fast-forward to 2013 and we’re now on socket AM3+. Not much has changed in the last four years aside from more updates to the chipset, resulting in the 900-series which is now a rebrand of the 800 series. 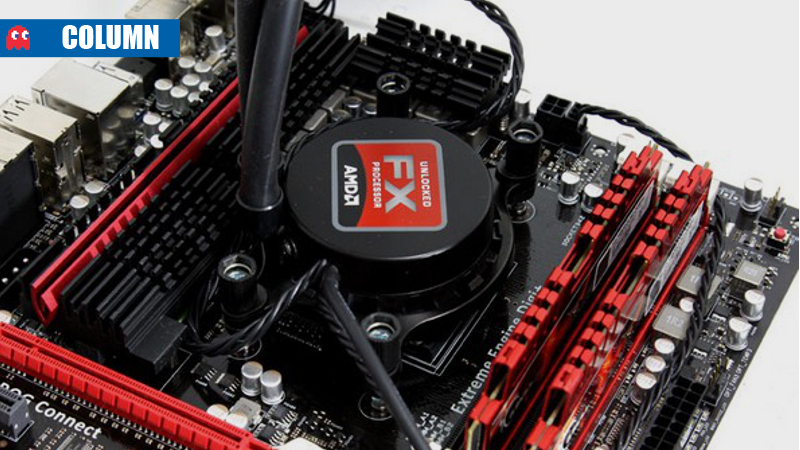 Motherboards produced today are effectively using old technology with the new Bulldozer-based FX family and this puts AMD at a disadvantage, especially when it comes to new technologies like Thunderbolt and mSATA. Intel’s Ivy Bridge to the left, AMD’s APU to the right. Notice how similar the boards are. AMD recently announced that 70% of its business today comes from the sales of its APUs. It’s seen moderate success with Llano on socket FM1 and the newer Richland and Trinity processors on socket FM2. We’ve been told before that the next addition to the APU lineup, Kaveri, now ships with a revamped chipset and socket FM2+. All the action, it seems, is happening on the lower-tier products. What does this mean for the desktop? It means that AMD is investing in its vision for APUs going forward in to 2014 and few updates should be expected from socket AM3+. We’re going to see a greater concentration into heterogeneous computing (HSA) using graphics cards for the heavy lifting, which Bulldozer and Piledriver were never designed for. We’re going to see a transition, thanks in part to their console wins, to processors with more and smaller cores together with good embedded graphics, rather than larger ones that excel at single-thread workloads. The future has always been Fusion, the amalgamation of the CPU and GPU together, and even Intel is hopping on this bandwagon with their integrated HD graphics. AMD also has brand new technology in their APUs and they’re currently ahead of Intel in the performance stakes. The small lead they have now needs to be extended if they’re going to have any more success. That’s why we’re beginning to see high-end socket FM2+ boards that seem at odds with current APU offerings – socket AM3+ no longer holds any hidden performance for AMD and their vision of a fully HSA-compliant desktop needs to be realised soon. 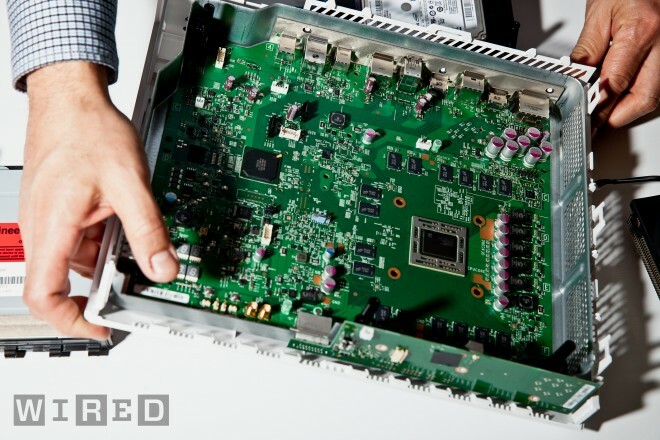 That’s an APU inside the Xbox One. AMD believes in the potential of the APU so much, so blindly, that they’re willing to let their core desktop lineup stagnate. 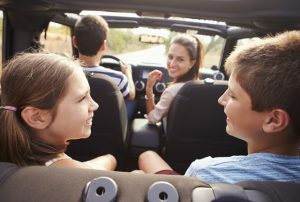 While the FX family still provides good value, catching up to Intel right now is a difficult task. Its safe to say that AMD never will catch up completely. The better idea is for AMD to find somewhere where they have little competition and increase their focus and efforts to produce winning products. That’s why they nabbed the console market in the first place, being more flexible and able to make something that neither Sony nor Microsoft could put down. Does this mean socket AM3+ is a poor choice? No, not at all, there are still very legitimate reasons for using that platform. But if you were considering an upgrade to another AMD chip right now, hang tight for the next three months. What will follow after 25 September is a plan that’s been in the works for years and if AMD plays their cards right, they could have another winner on their hands. Socket AM3+ has had a good, long life. Its time to let it go.